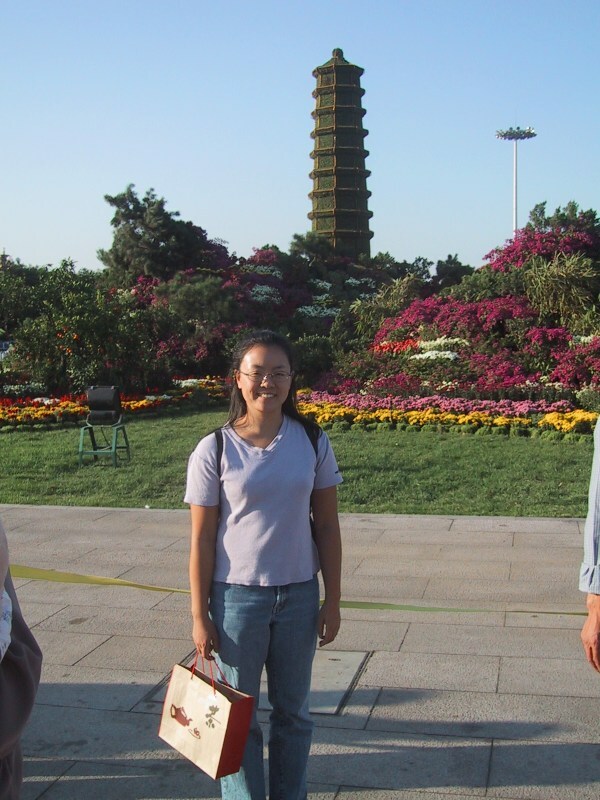 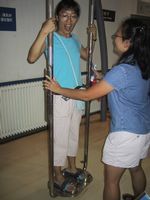 In August we went with Xuyuejin and her boyfriend to the Beijing Science and Technology Museum. If you've ever been to a science museum you know what it's like - tons of kids running around and crazily beating up on hands-on technology exhibits. We had fun doing our share as well. 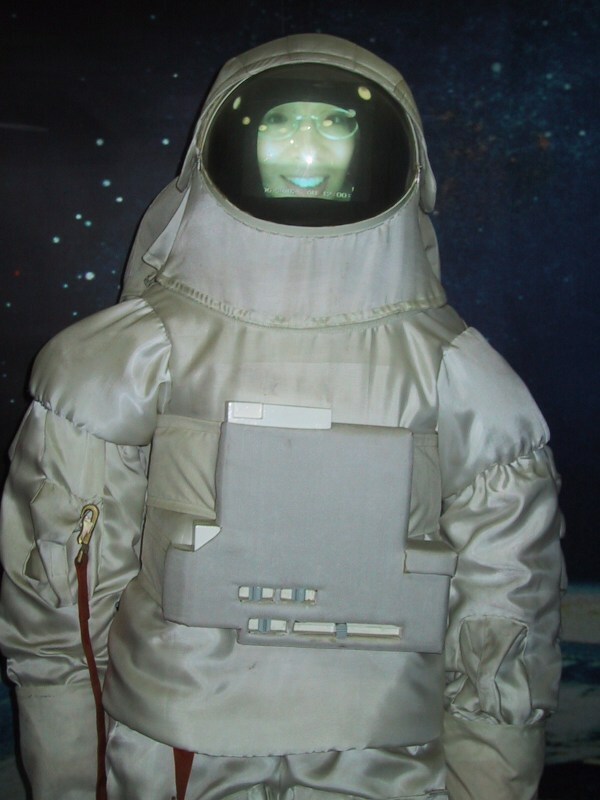 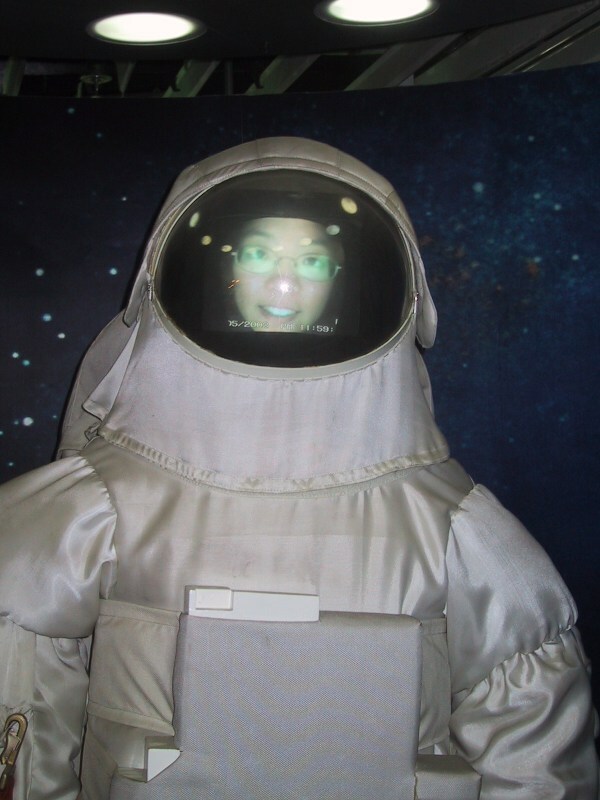 Nancy and Xuyuejin had their photo taken and then superimposed on a space suit. Nancy looks a little lost in there. 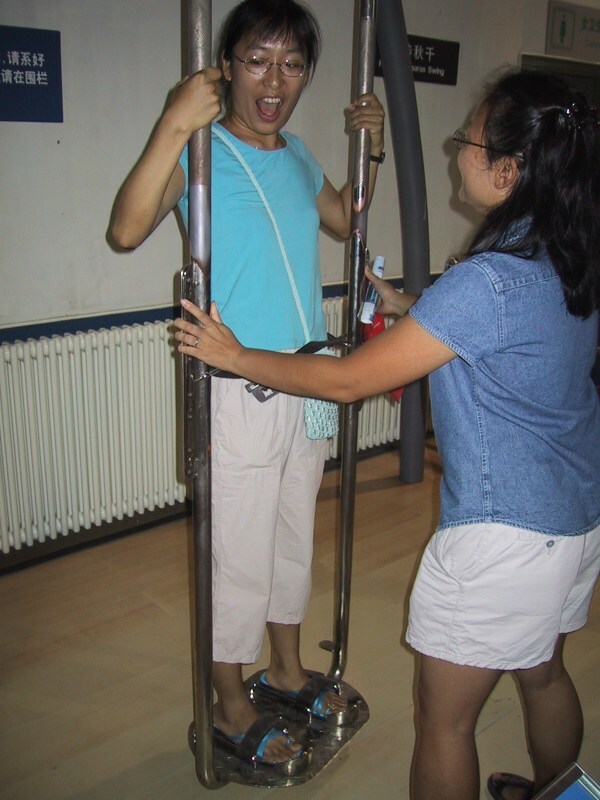 Here's Nancy giving Xuyuejin a good spin on some astronaut training equipment. 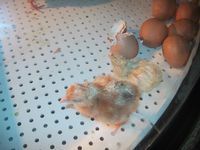 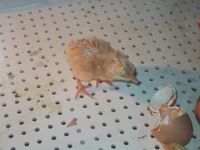 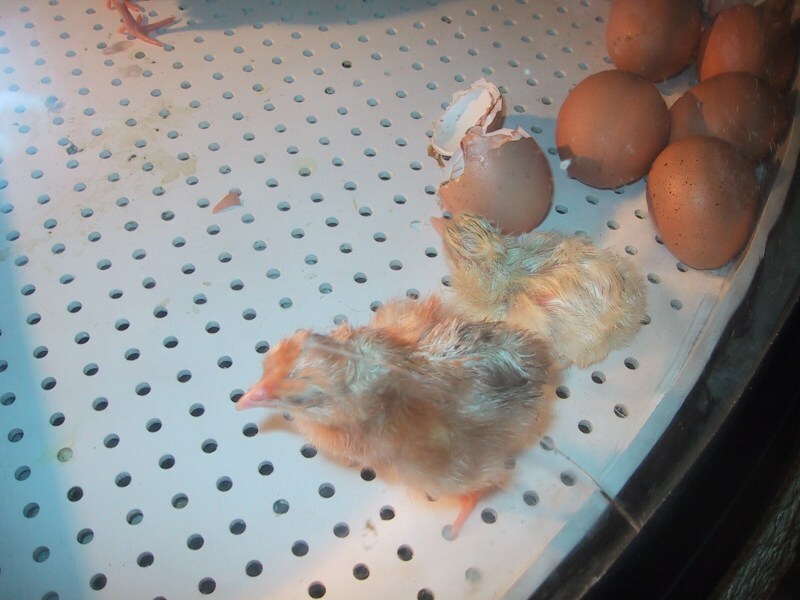 Also on display were eggs with cute little chicks hatching every once in a while. 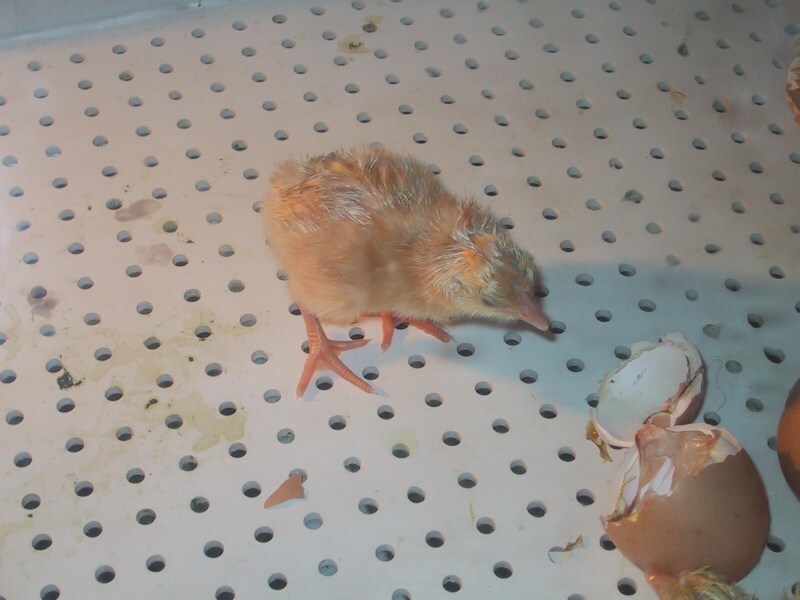 Peep, peep! 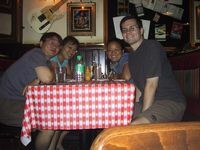 Afterwards we all went to the Beijing Hard Rock Cafe for some American food. 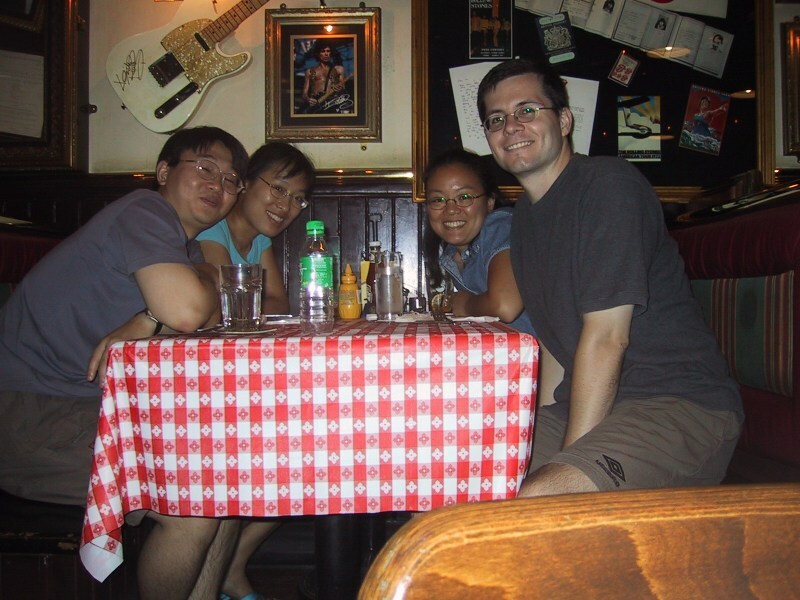 Well, the food wasn't that good, and it was very expensive in comparison to standard Beijing fare, but the restaurant itself didn't disappoint with its Americana decor and live rock band. We had a rockin' time. 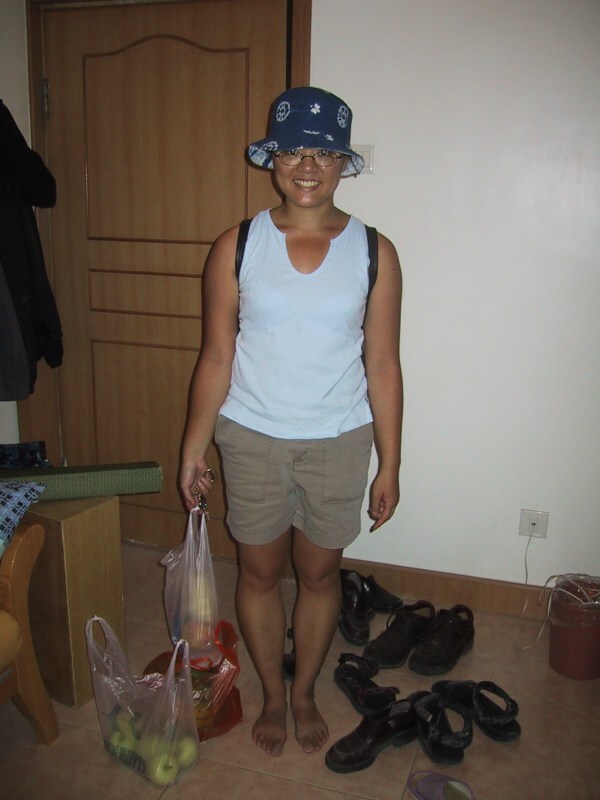 This was a frequent sight in our apartment in Beijing - Nancy in her floppy sun hat having just arrived home from the market with bags of yummy fresh vegetables for dinner. Here was another frequent sight - Bryan enjoying an entire plate of eda mame (soybeans). He thought they were the perfect movie snack, and they were so cheap in China - about 25 cents per pound versus the eight dollars a pound that they go for in the USA. Nancy has just returned home on her rickety old bicycle after another trip to the market after a long day at the hospital. 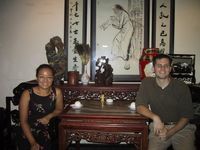 Bryan's Chinese teacher invited us to a dinner at a Shanghai-style restaurant. The food was great and the converation was lively. 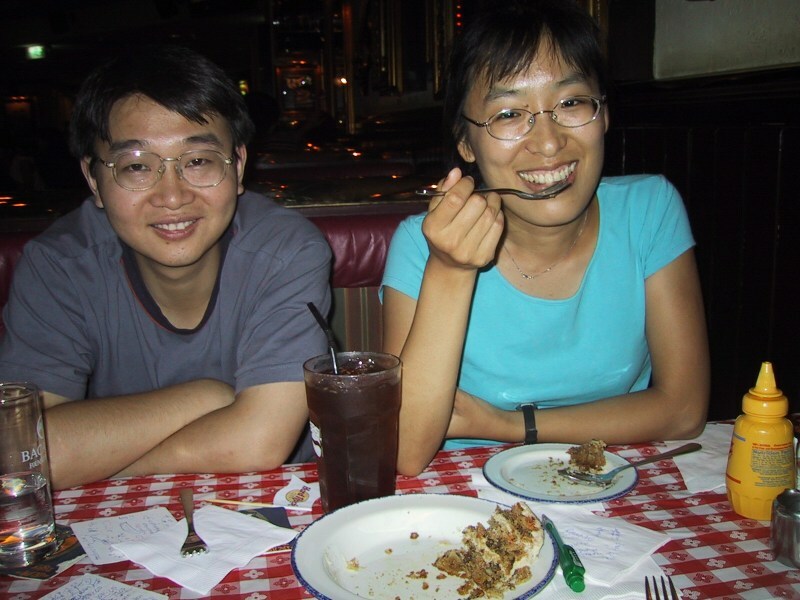 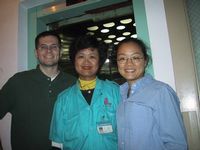 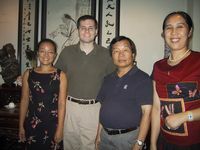 Bryan had another opportunity to practice his Chinese as Professor Bai and his wife do not speak English. 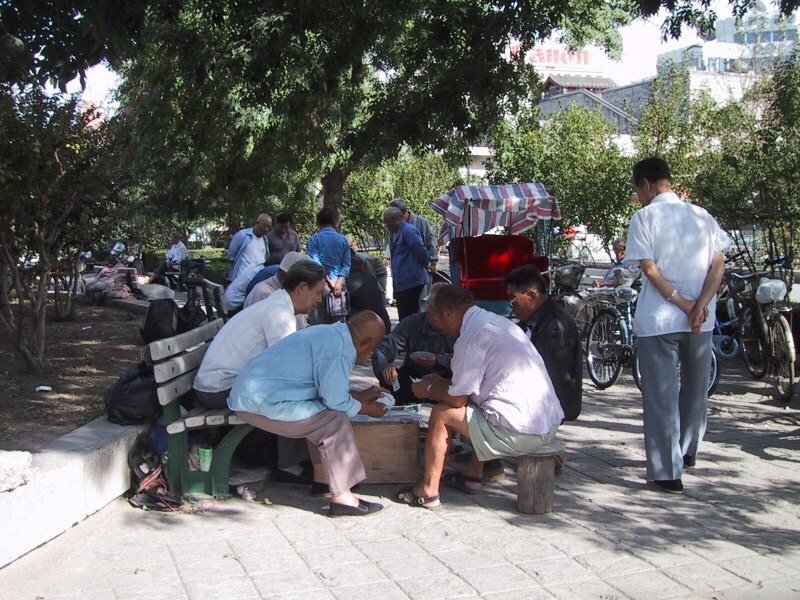 Here are a few examples of some of the stranger fruit that we encountered in Beijing. 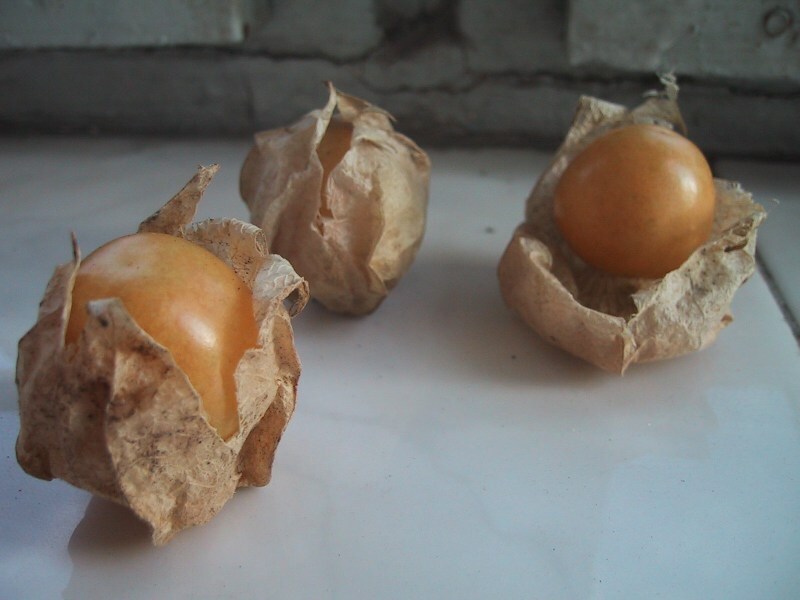 To the left we have a tomatillo-like fruit which comes in its own papery covering. 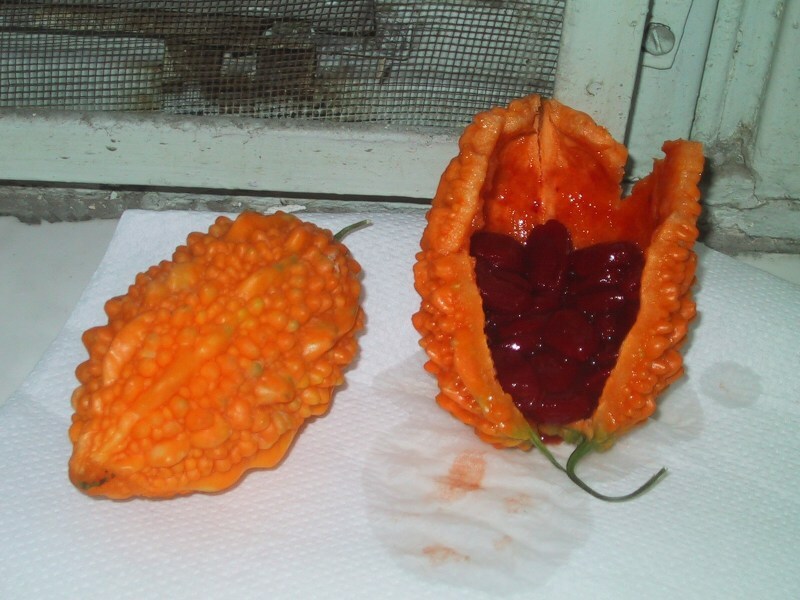 To the right is the all-time weirdest fruit: a knobby orange fruit which looks like a squash on the outside and inside is full of slimy blood-red seeds with a hard black center. 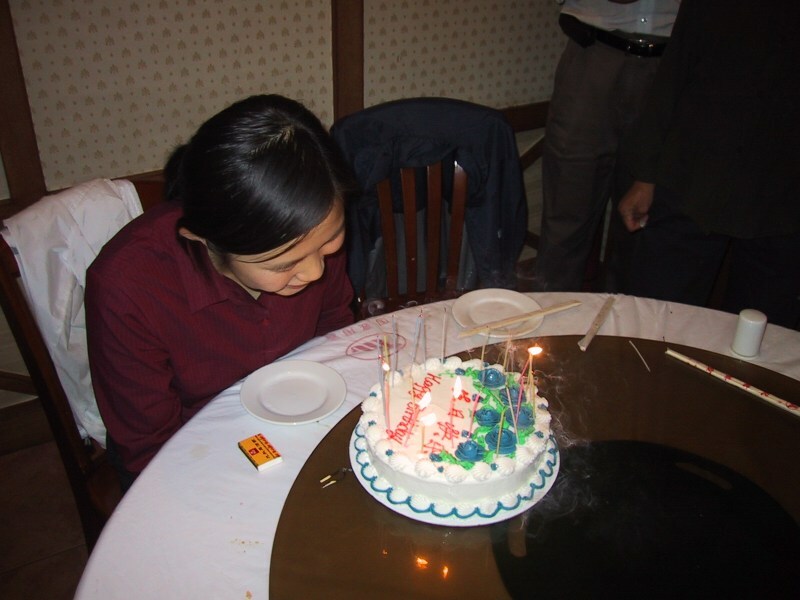 It tasted okay, kind of bland actually, but it sure looked weird. 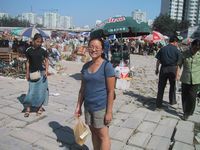 Here are Bryan and Nancy on a random late summer day shopping at the flea market and a street fair. 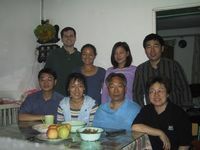 Xuyuejin's family invited us to dinner. Her mom prepared a scrumptuous meal of Beijing-style Chinese food. 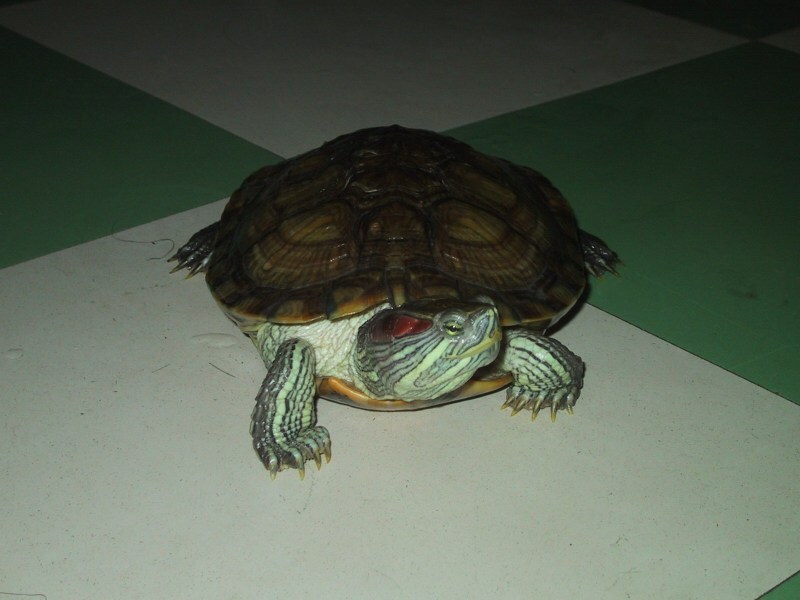 Xuyuejin and Bryan visit with one of the family's two pet turtles. Top row, left to right: Bryan, Nancy, Xuyuejin's brother's girlfriend, Xuyuejin's brother. Bottom row, left to right: Xuyuejin's husband, Xuyuejin, her dad, and her mother. 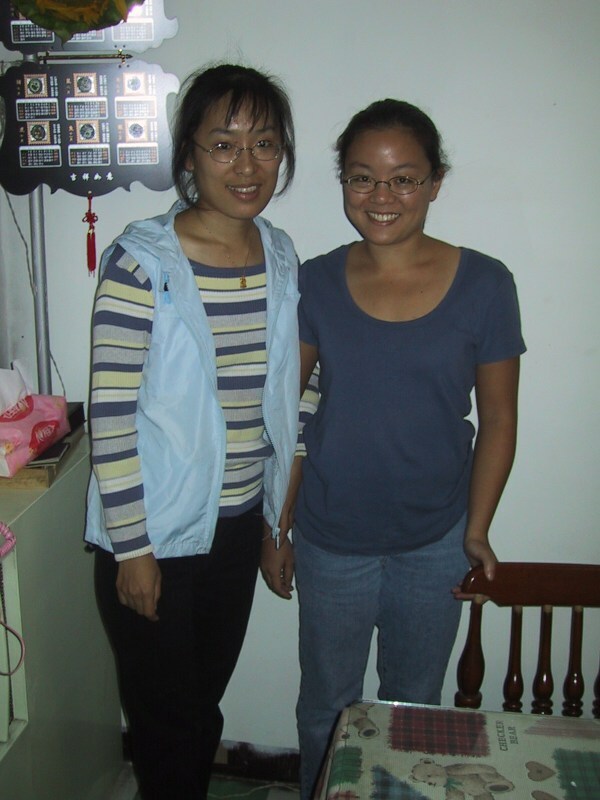 Here's Nancy and her best Chinese friend, Xuyuejin. At the end of September we looked forward to our departure from China with mixed emotions. 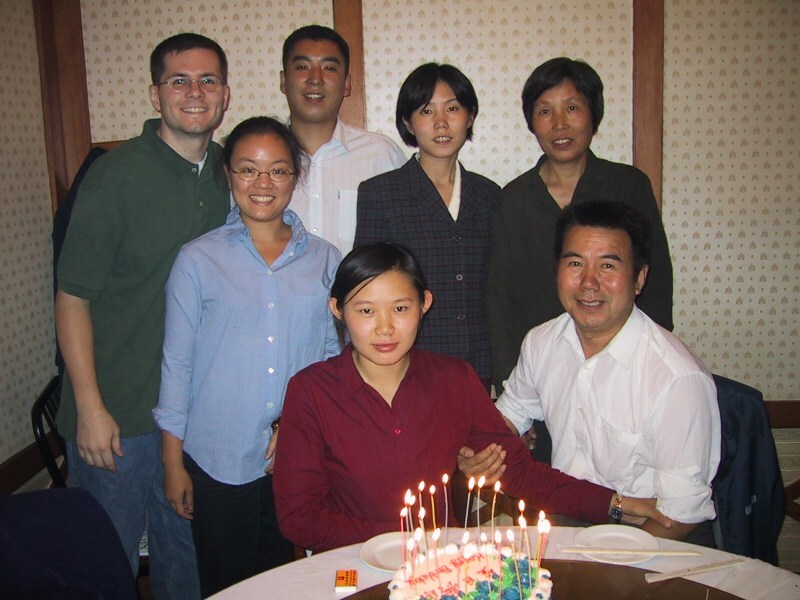 We were excited to be going to Japan for a few weeks, and happy to be returning to the home that we missed so much, but were also sad to be leaving behind the friends that we had made in China. 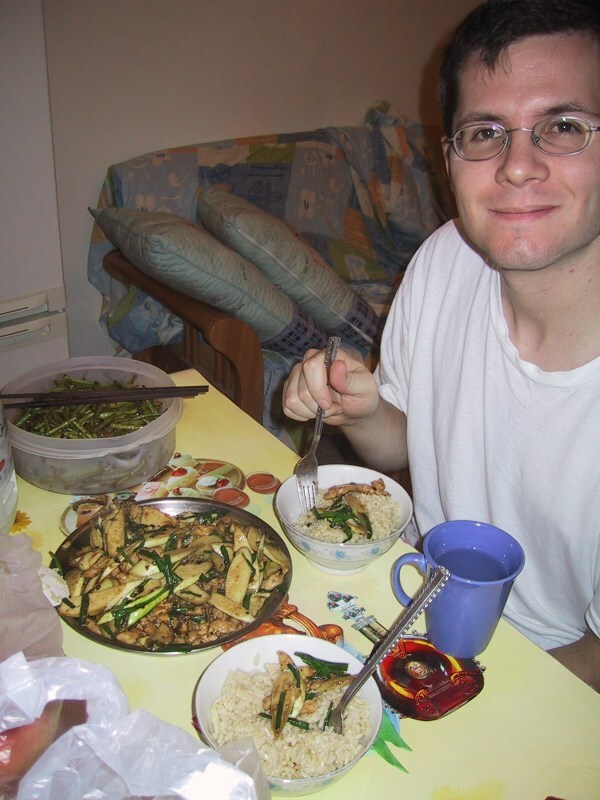 Bryan sits down to one of the last home cooked meals he was to have in China. 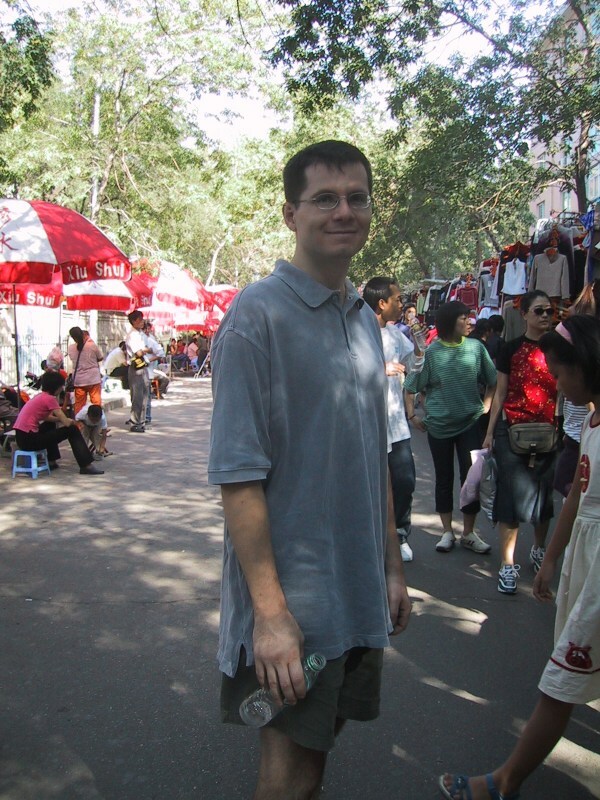 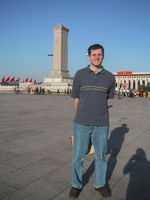 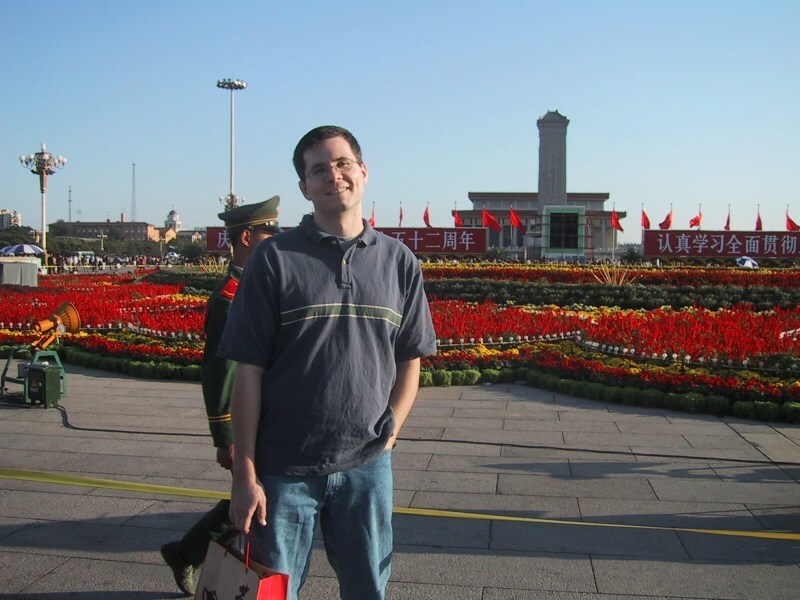 In case you hadn't noticed, he lost nearly 15 pounds in the 9 months that we were in China. 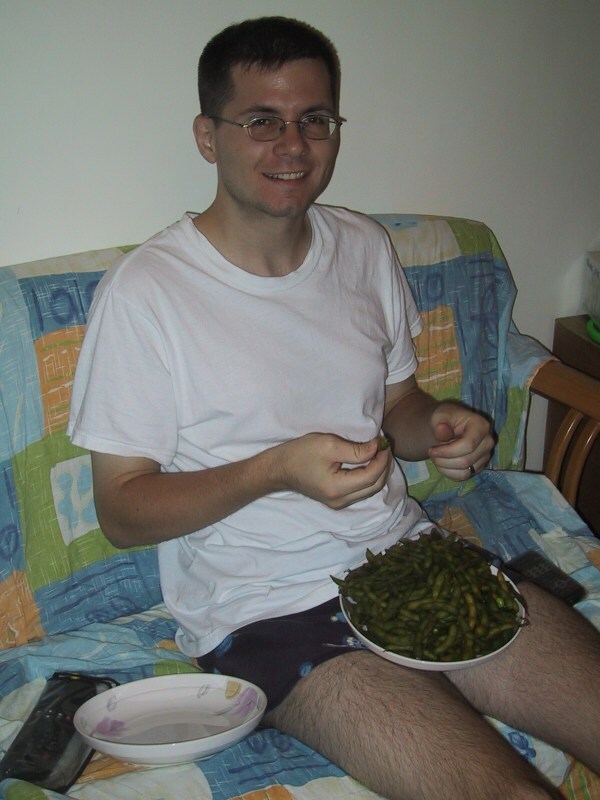 And as all of the food photos on our web site will attest, this was without changing his eating habits at all. 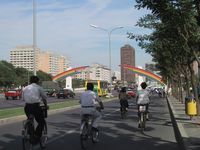 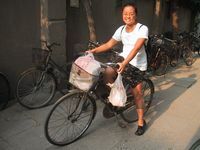 It seems that food in China is somehow less fattening than in the U.S.A.
We knew that we needed to do some shopping for presents for our friends and family back home before we left, so one Saturday we biked down to You Li Qiang??? 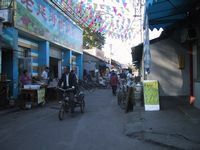 to make a pass through the souvenir shops there. 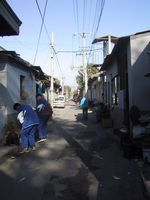 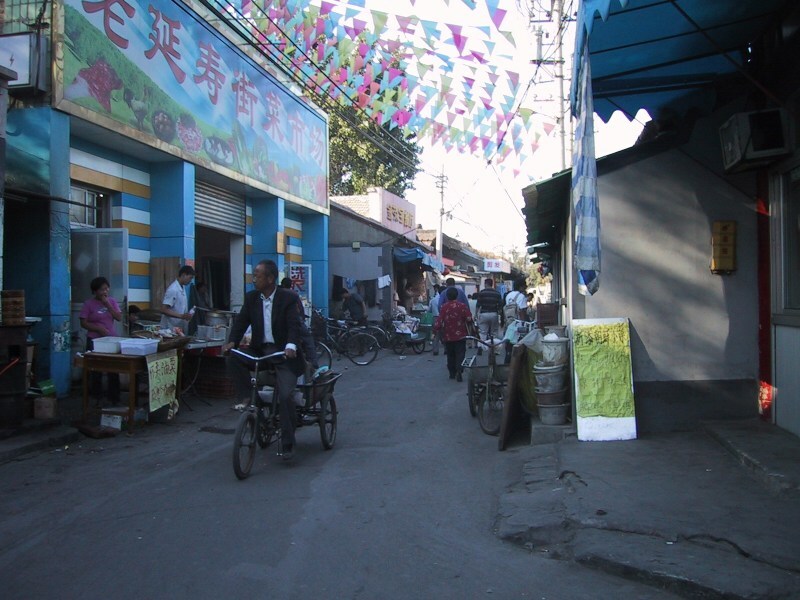 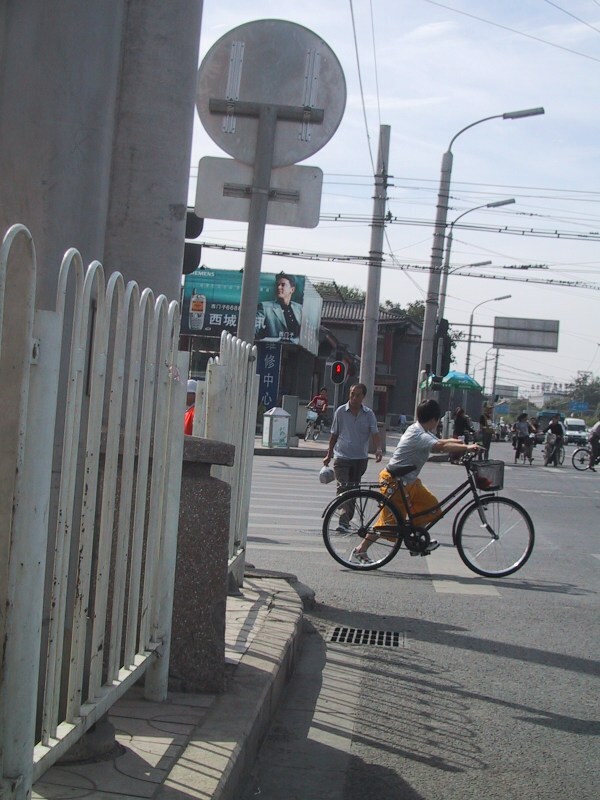 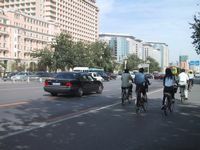 Bryan was without a bike but in a typical display of Chinese generosity, the bicycle repair man down the street insisted that one of his be borrowed for the day. 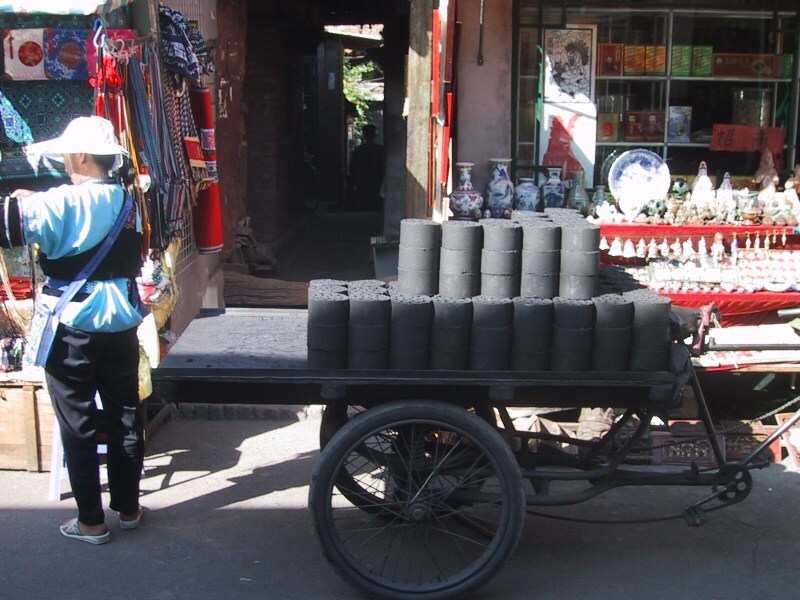 As the fall temperatures started to dip it looked like the coal peddlers were starting to make more frequent rounds with carts more heavily laden with coal bricks. 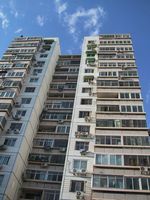 For the Chinese National Day holiday of October 1, celebrating the Communist revolution of China, vast quantities of potted flowers had been placed on sidewalks and street corners all over the city. An especially large display of flowers was presented at Tienanmen Square. 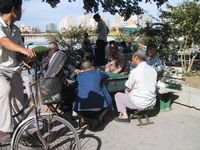 On this breezy fall day, thousands of Chinese citizens were enjoying the flower display in addition to dozens of people flying kites in the square. 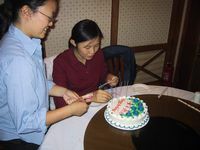 A few days before our departure, we had a going away dinner with the Gao family, in addition to celebrating the birthday of Gao Ke. We went out for one last meal at our favorite Beijing restaurant, Jiu Tou Niao (literally "Nine Headed Bird"). We discovered that evening that they had just received their first, beautifully printed, English language menu - we had been coming to Jiu Tou Niao for 9 months and on our last visit, we finally got an English menu! 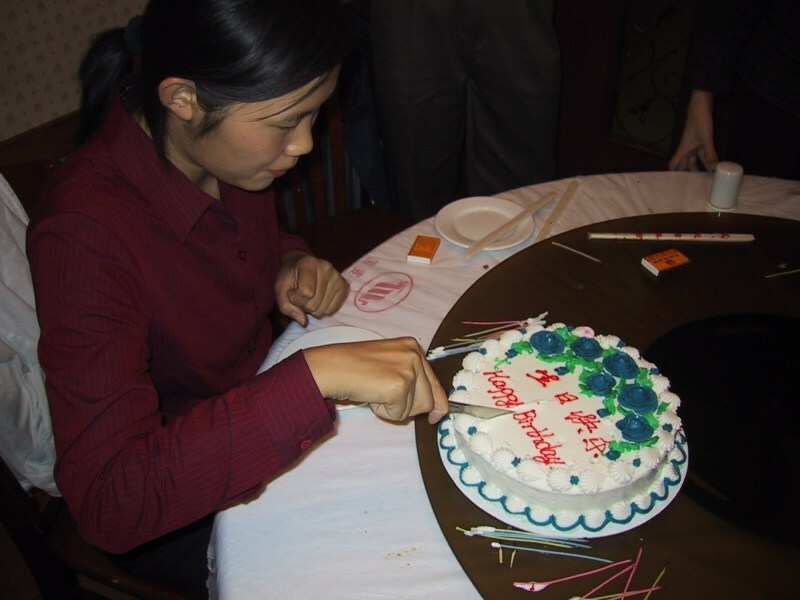 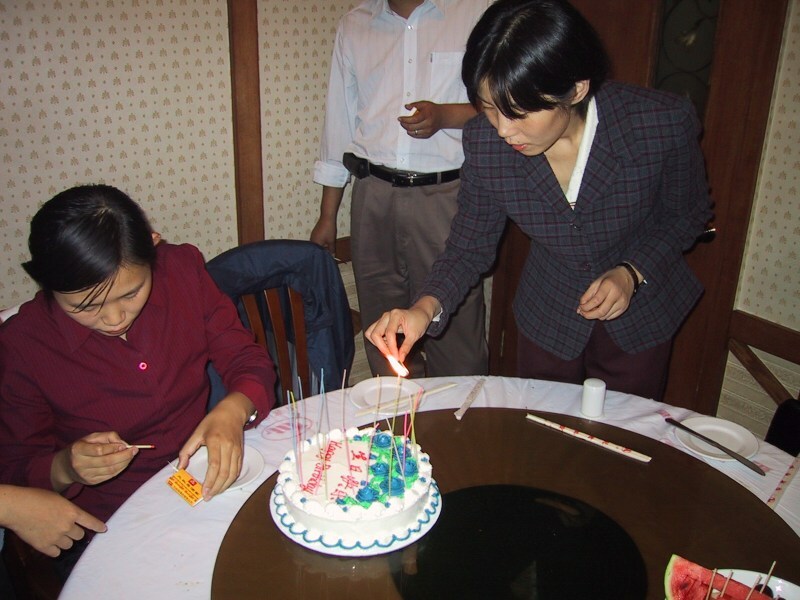 And then Gao Ke makes a wish and blows the candles out and finally cuts the cake for everyone to enjoy. 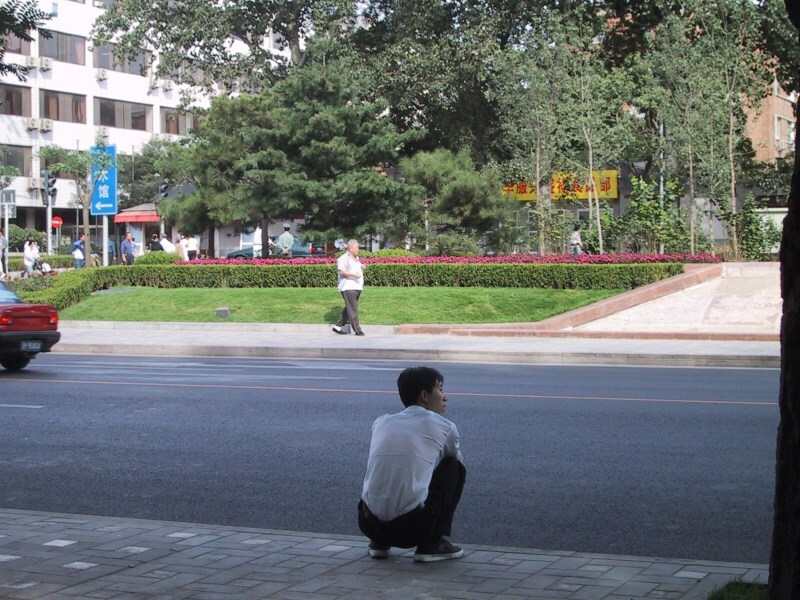 With just a few days remaining we snapped a final few photos to remember Beijing by. One of the casualties of our trip to China was Nancy's 7-year-old pair of Teva sandals. 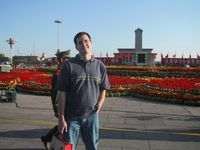 They were still in decent shape but we didn't feel like hauling them back from China and needed the extra space in our luggage. 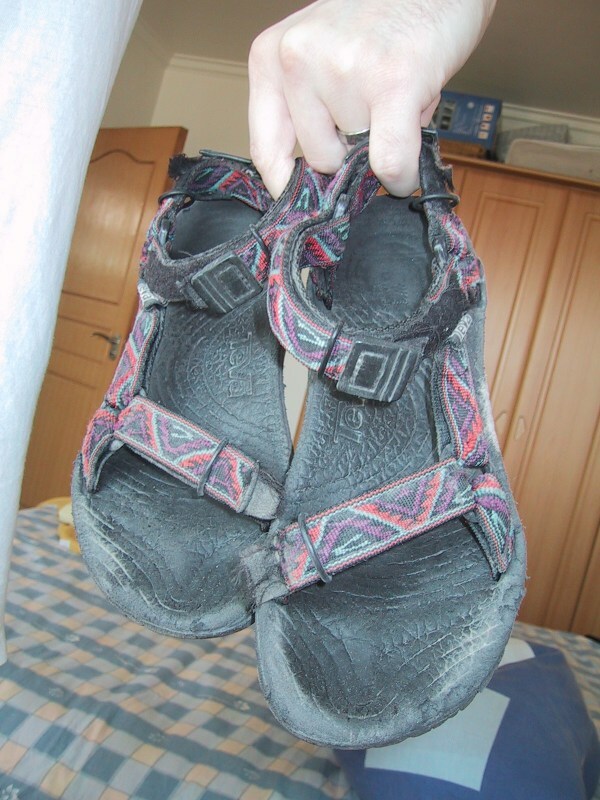 And besides, 7 years is beyond the call of duty for a pair of sandals. Here they are minutes before being chucked down the garbage shute. 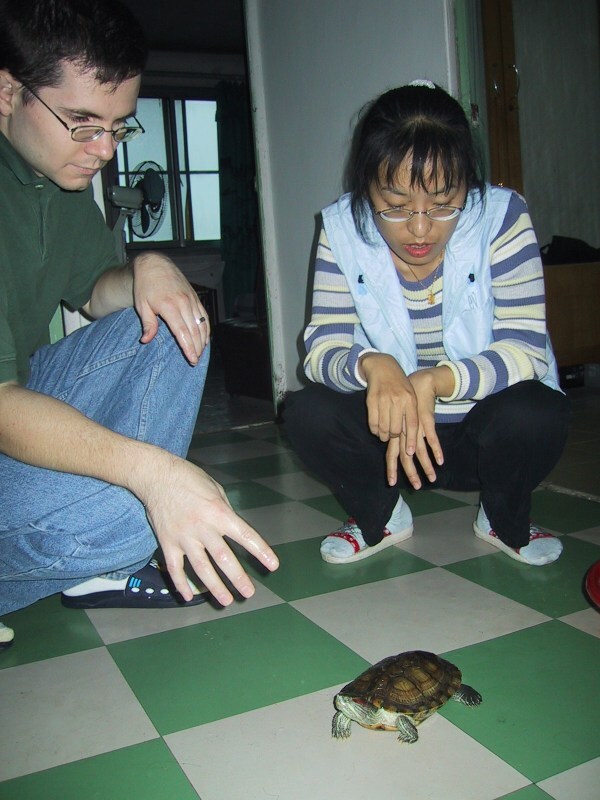 Goodbye, sniff, sniff. 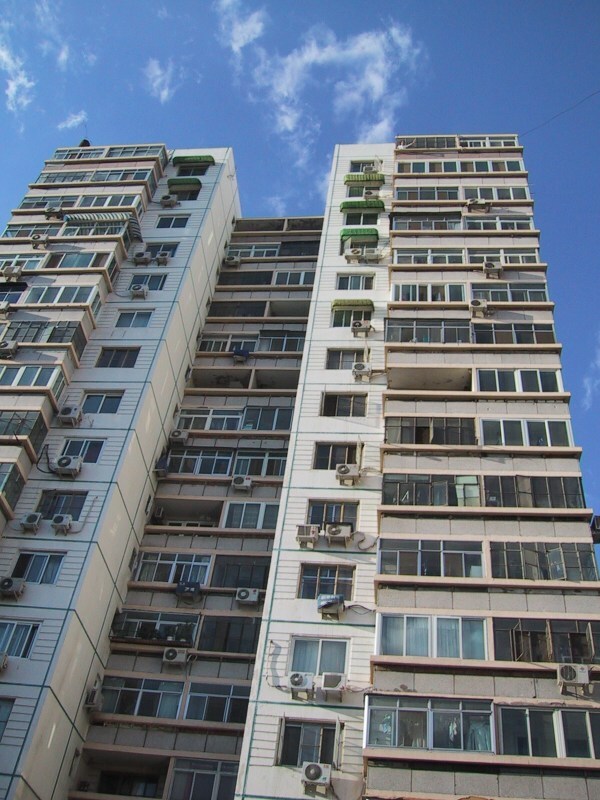 We took some final photos from around our apartment building on a clear and sunny fall day. 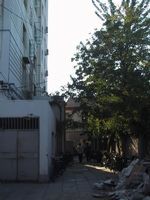 Here are some photos from around our apartment. 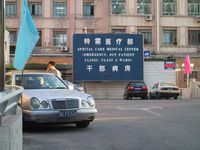 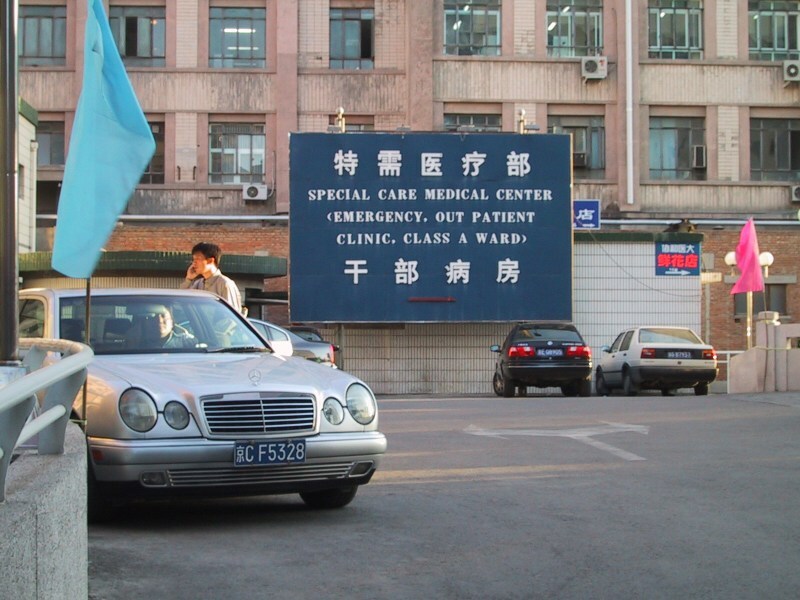 Notice the favoritism shown towards western patients, government officials, and anyone with money, evident in this hospital sign. 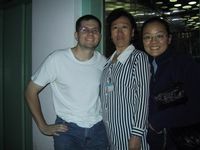 This is our last photo from China. 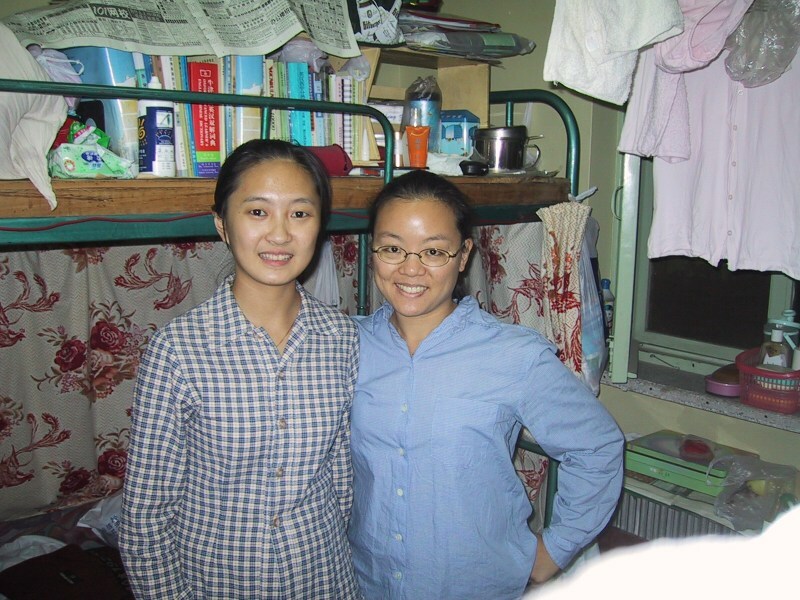 Nancy visited with her friend ??? on the last day of our trip to China. On Monday morning, October 1, 2001, which is the start of the National Holiday, the biggest government holiday of the year in China, we boarded a plane destined for Tokyo. Goodbye, China - we'll miss you!